Last week Frances Coppola and I exchanged posts about competitive devaluation. Frances chided me for favoring competitive devaluation, competitive devaluation, in her view, accomplishing nothing in a world of fiat currencies, because exchange rates don’t change. Say, the US devalues the dollar by 10% against the pound and Britain devalues the pound by 10% against the dollar; it’s as if nothing happened. In reply, I pointed out that if the competitive devaluation is achieved by monetary expansion (the US buying pounds with dollars to drive up the value of the pound and the UK buying dollars with pounds to drive up the value of the dollar), the result must be increased prices in both the US and the UK. Frances responded that our disagreement was just a semantic misunderstanding, because she was talking about competitive devaluation in the absence of monetary expansion; so it’s all good. I am, more or less, happy with that resolution of our disagreement, but I am not quite persuaded that the disagreement between us is merely semantic, as Frances seems conflicted about Hawtrey’s argument, carried out in the context of a gold standard, which served as my proof text for the proposition that competitive devaluation really is expansionary. On the one hand, she seems to distinguish between the expansionary effect of competitive devaluation relative to gold – Hawtrey’s case – and the beggar-my-neighbor effect of competitive devaluation of fiat currencies relative to each other; on the other hand, she also intimates that even Hawtrey got it wrong in arguing that competitive devaluation is expansionary. Now, much as I admire Hawtrey, I have no problem with criticizing him; it just seems that Frances hasn’t decided whether she does – or doesn’t – agree with him. But what I want to do in this post is not to argue with Frances, though some disagreements may be impossible to cover up; I just want to explain the relationship between competitive devaluation and monetary expansion. First some context. One of the reasons that I — almost exactly four years ago – wrote my post about Hawtrey and competitive devaluations (aka currency wars) is that critics of quantitative easing had started to make the argument that the real point of quantitative easing was to gain a competitive advantage over other countries by depreciating – or devaluing – their currencies. What I was trying to show was that if a currency is being depreciated by monetary expansion (aka quantitative easing), then, as Frances now seems – but I’m still not sure – ready to concede, the combination of monetary expansion and currency devaluation has a net expansionary effect on the whole world, and the critics of quantitative easing are wrong. Because the competitive devaluation argument has so often been made together with a criticism of quantitative easing, I assumed, carelessly it appears, that in criticizing my post, Frances was disagreeing with my support of currency depreciation in the context of monetary expansion and quantitative easing. With that explanatory preface out of the way, let’s think about how to depreciate a fiat currency on the foreign exchange markets. A market-clearing exchange rate between two fiat currencies can be determined in two ways (though there is often a little of both in practice): 1) a currency peg and 2) a floating rate. Under a currency peg, one or both countries are committed to buying and selling the other currency in unlimited quantities at the pegged (official) rate. If neither country is prepared to buy or sell its currency in unlimited quantities at the pegged rate, the peg is not a true peg, because the peg will not withstand a sufficient shift in the relative market demands for the currencies. If the market demand is inconsistent with the quasi-peg, either the pegged rate will cease to be a market-clearing rate, with a rationing system imposed while the appearance of a peg is maintained, or the exchange rate will be allowed to float to clear the market. A peg can be one-sided or two-sided, but a two-sided peg is possible only so long as both countries agree on the exchange rate to be pegged; if they disagree, the system goes haywire. To use Nick Rowe’s terminology, the typical case of a currency peg involves an alpha (or dominant, or reserve) currency which is taken as a standard and a beta currency which is made convertible into the alpha currency at a rate chosen by the issuer of the beta currency. With floating currencies, the market is cleared by adjustment of the exchange rate rather than currency purchases or sales by the monetary authority to maintain the peg. In practice, monetary authorities generally do buy and sell their currencies in the market — sometimes with, and sometimes without, an exchange-rate target — so the operation of actual foreign exchange markets lies somewhere in between the two poles of currency pegs and floating rates. What does this tell us about currency depreciation? First, it is possible for a country to devalue its currency against another currency to which its currency is pegged by changing the peg unilaterally. If a peg is one-sided, i.e., a beta currency is tied to an alpha, the issuer of the beta currency chooses the peg unilaterally. If the peg is two-sided, then the peg cannot be changed unilaterally; the two currencies are merely different denominations of a single currency, and a unilateral change in the peg means that the common currency has been abandoned and replaced by two separate currencies. So what happens if a beta currency pegged to an alpha currency, e.g., the Hong Kong dollar which pegged to the US dollar, is devalued? Say Hong Kong has an unemployment problem and attributes the problem to Hong Kong wages being too high for its exports to compete in world markets. Hong Kong decides to solve the problem by devaluing their dollar from 13 cents to 10 cents. Would the devaluation be expansionary or contractionary for the rest of the world? Hong Kong is the paradigmatic small open economy. Its export prices are quoted in US dollars determined in world markets in which HK is a small player, so the prices of HK exports quoted in US dollars don’t change, but in HK dollars the prices rise by 30%. Suddenly, HK exporters become super-profitable, and hire as many workers as they can to increase output. Hong Kong’s unemployment problem is solved. The result of the Hong Kong export boom and corresponding increase in output and employment is that US dollars will start flowing into Hong Kong as payment for all those exports. So the next question is what happens to those dollars? With no change in the demand of Hong Kong residents to hold US dollars, they will presumably want to exchange their US dollars for Hong Kong dollars, so that the quantity of Hong Kong dollars held by Hong Kong residents will increase. Because domestic income and expenditure in Hong Kong is rising, some of the new Hong Kong dollars will probably be held, but some will be spent. The increased spending as a result of rising incomes and a desire to convert some of the increased cash holdings into other assets will spill over into increased purchases by Hong Kong residents on imports or foreign assets. The increase in domestic income and expenditure and the increase in import prices will inevitably cause an increase in prices measured in HK dollars. Thus, insofar as income, expenditure and prices are rising in Hong Kong, the immediate real exchange rate advantage resulting from devaluation will dissipate, though not necessarily completely, as the HK prices of non-tradables including labor services are bid up in response to the demand increase following devaluation. The increase in HK prices and increased spending by HK residents on imported goods will have an expansionary effect on the rest of the world (albeit a small one because Hong Kong is a small open economy). That’s the optimistic scenario. But there is also a pessimistic scenario that was spelled out by Max Corden in his classic article on exchange rate protection. In this scenario, the HK monetary authority either reduces the quantity of HK dollars to offset the increase in HK dollars caused by its export surplus, or it increases the demand for HK dollars to match the increase in the quantity of HK dollars. It can reduce the quantity of HK dollars by engaging in open-market sales of domestic securities in its portfolio, and it can increase the demand for HK dollars by increasing the required reserves that HK banks must hold against the HK dollars (either deposits or banknotes) that they create. Alternatively, the monetary authority could pay interest on the reserves held by HK banks at the central bank as a way of increasing the amount of HK dollars demanded. By eliminating the excess supply of HK dollars through one of more of these methods, the central bank prevents the increase in HK spending and the reduction in net exports that would otherwise have occurred in response to the HK devaluation. 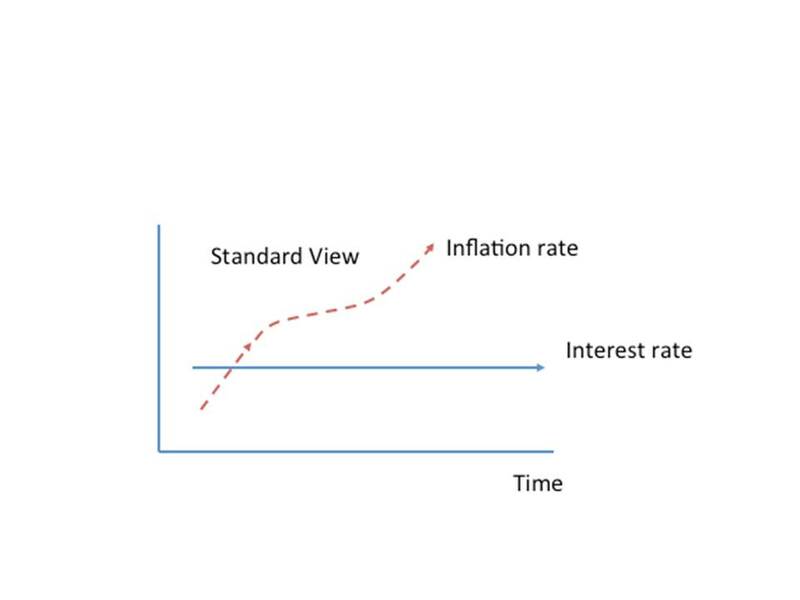 That was the great theoretical insight of Corden’s analysis: the beggar-my-neighbor effect of devaluation is not caused by the devaluation, but by the monetary policy that prevents the increase in domestic income associated with devaluation from spilling over into increased expenditure. This can only be accomplished by a monetary policy that deliberately creates a chronic excess demand for cash, an excess demand that can only be satisfied by way of an export surplus. The effect (though just second-order) of the HK policy on US prices can also be determined, because the policy of the HK monetary authority involves an increase in its demand to hold US FX reserves. If it chooses to hold the additional dollar reserves in actual US dollars, the increase in the demand for US base money will, ceteris paribus, cause the US price level to fall. Alternatively, if the HK monetary authority chooses to hold its dollar reserves in the form of US Treasuries, the yield on those Treasuries will tend to fall. A reduced yield on Treasuries will increase the desired holdings of dollars, also implying a reduced US price level. Of course, the US is capable of nullifying the deflationary effect of HK currency manipulation by monetary expansion; the point is that the HK policy will have a (slight) deflationary effect on the US unless it is counteracted. If I were writing a textbook, I would say that it is left as an exercise for the reader to work out the analysis of devaluation in the case of floating currencies. So if you feel like stopping here, you probably won’t be missing very much. But just to cover all the bases, I will go through the argument quickly. If a country wants to drive down the floating exchange rate between its currency and another currency, the monetary authority can buy the foreign currency in exchange for its own currency in the FX markets. It’s actually not necessary to intervene directly in FX markets to do this, issuing more currency, by open-market operations (aka quantitative easing) would also work, but the effect in FX markets will show up more quickly than if the expansion is carried out by open market purchases. So in the simplest case, currency depreciation is actually just another term for monetary expansion. However, the link between monetary expansion and currency depreciation can be broken if a central bank simultaneously buys the foreign currency with new issues of its own currency while making open-market sales of assets to mop up the home currency issued while intervening in the FX market. Alternatively, it can intervene in the FX market while imposing increased reserve requirements on banks, thereby forcing them to hold the newly issued currency, or by paying banks a sufficiently interest rate on reserves held at the central bank to willingly hold the newly issued currency. An article by Michael McLeay, Amara Radia and Ryland Thomas (“Money Creation in the Modern Economy”) published in the Bank of England Quarterly Bulletin has gotten a lot of attention recently. JKH, who liked it a lot, highlighting it on his blog, and prompting critical responses from, among others, Nick Rowe and Scott Sumner. Let’s look at the overview of the article provided by the authors. I start with a small point. What the authors mean by a “modern economy” is unclear, but presumably when they speak about the money created in a modern economy they are referring to the fact that the money held by the non-bank public has increasingly been held in the form of deposits rather than currency or coins (either tokens or precious metals). Thus, Scott Sumner’s complaint that the authors’ usage of “modern” flies in the face of the huge increase in the ratio of base money to broad money is off-target. The relevant ratio is that between currency and the stock of some measure of broad money held by the public, which is not the same as the ratio of base money to the stock of broad money. I agree that the reality of how money is created differs from the textbook money-multiplier description. See my book on free banking and various posts I have written about the money multiplier and endogenous money. There is no meaningful distinction between “normal times” and “exceptional circumstances” for purposes of understanding how money is created. I agree that commercial banks cannot create money without limit. They are constrained by the willingness of the public to hold their liabilities. Not all monies are the same, despite being convertible into each other at par. The ability of a bank to lend is constrained by the willingness of the public to hold the deposits of that bank rather than currency or the deposits of another bank. Monetary policy acts as the ultimate limit on money creation. The Bank of England aims to make sure the amount of money creation in the economy is consistent with low and stable inflation. In normal times, the Bank of England implements monetary policy by setting the interest rate on central bank reserves. This then influences a range of interest rates in the economy, including those on bank loans. Monetary policy is certainly a constraint on money creation, but I don’t understand why it is somehow more important (the constraint of last resort?) than the demand of the public to hold money. Monetary policy, in the framework suggested by this article, affects the costs borne by banks in creating deposits. Adopting Marshallian terminology, we could speak of the two blades of a scissors. Which bade is the ultimate blade? I don’t think there is an ultimate blade. In this context, the term “normal times” refers to periods in which interest rates are above the effective zero lower bound (see the following paragraph). But the underlying confusion here is that the authors seem to think that the amount of money created by the banking system actually matters. In fact, it doesn’t matter, because (at least in the theoretical framework being described) the banks create no more and no less money that the amount that the public willingly holds. Thus the amount of bank money created has zero macroeconomic significance. 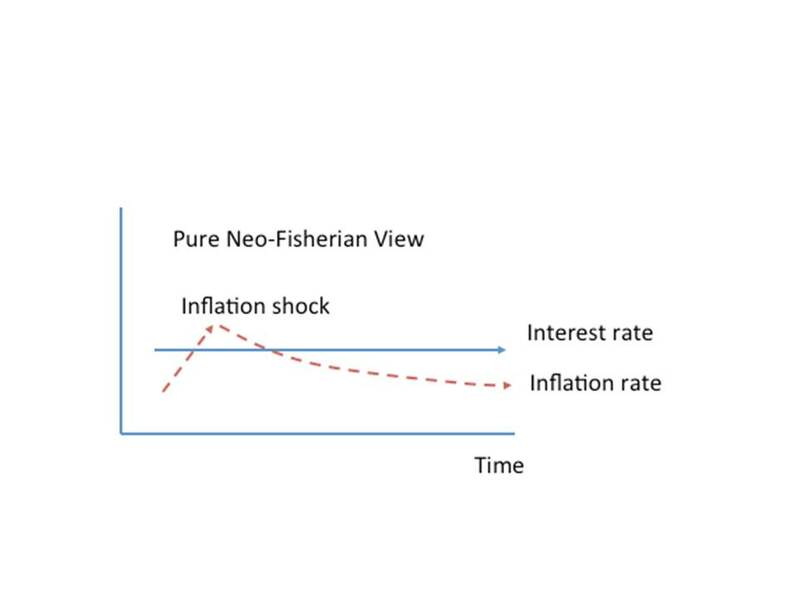 In exceptional circumstances, when interest rates are at their effective lower bound, money creation and spending in the economy may still be too low to be consistent with the central bank’s monetary policy objectives. One possible response is to undertake a series of asset purchases, or ‘quantitative easing’ (QE). QE is intended to boost the amount of money in the economy directly by purchasing assets, mainly from non-bank financial companies. Again the underlying problem with this argument is the presumption that the amount of money created by banks – money convertible into the base money created by the central bank – is a magnitude with macroeconomic significance. In the framework being described, there is no macroeconomic significance to that magnitude, because the value of bank money is determined by its convertibility into central bank money and the banking system creates exactly as much money as is willingly held. If the central bank wants to affect the price level, it has to do so by creating an excess demand or excess supply of the money that it — the central bank — creates, not the money created by the banking system. QE initially increases the amount of bank deposits those companies hold (in place of the assets they sell). Those companies will then wish to rebalance their portfolios of assets by buying higher-yielding assets, raising the price of those assets and stimulating spending in the economy. If the amount of bank deposits in the economy is the amount that the public wants to hold, QE cannot affect anything by increasing the amount of bank deposits; any unwanted bank deposits are returned to the banking system. It is only an excess of central-bank money that can possibly affect spending. The problem with the creation of new central-bank reserves by QE at the zero lower bound is that, central-bank reserves earn a higher return than alternative assets that might be held by banks, so any and all reserves created by the central bank are held willingly by the banking system. 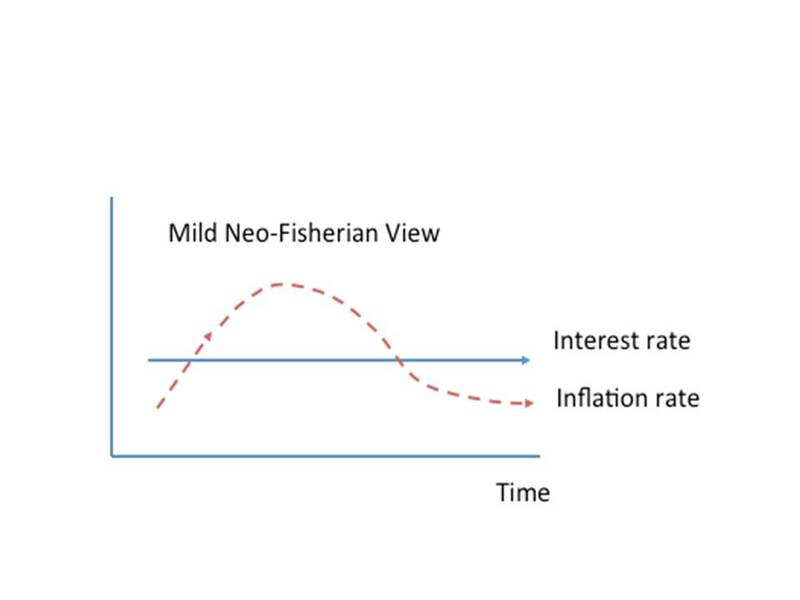 The demand of the banking for central bank reserves is unbounded at the zero-lower bound when the central bank pays a higher rate of interest than the yield on the next best alternative asset the bank could hold. If the central bank wants to increase spending, it can only do so by creating reserves that are not willingly held. Thus, in the theortetical framework described by the authors, QE cannot possibly have any effect on any macroeconomic variable. Now that’s a problem.